Great community, friendly neighborhood, & more! Get rid of the daily hassles that go with owning a conventional home. Whether you are buying or renting you'll want to take a good look at this new and exciting alternative. Kick back and enjoy your leisure time, living and owning at Kirkridge Park Cooperative community! Do You Qualify? Schedule An Appointment Today! 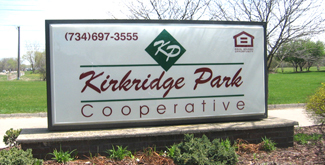 Find out the income qualifications, monthly rent, and membership fees for Kirkridge Park Cooperative. Contact us to arrange an appointment with a leasing agent...Click HERE to Contact Us.